Happy Tuesday or as I like to call it "We survived Monday"! What a busy, crazy, week it was last week. I'm hope this week will be a bit better. 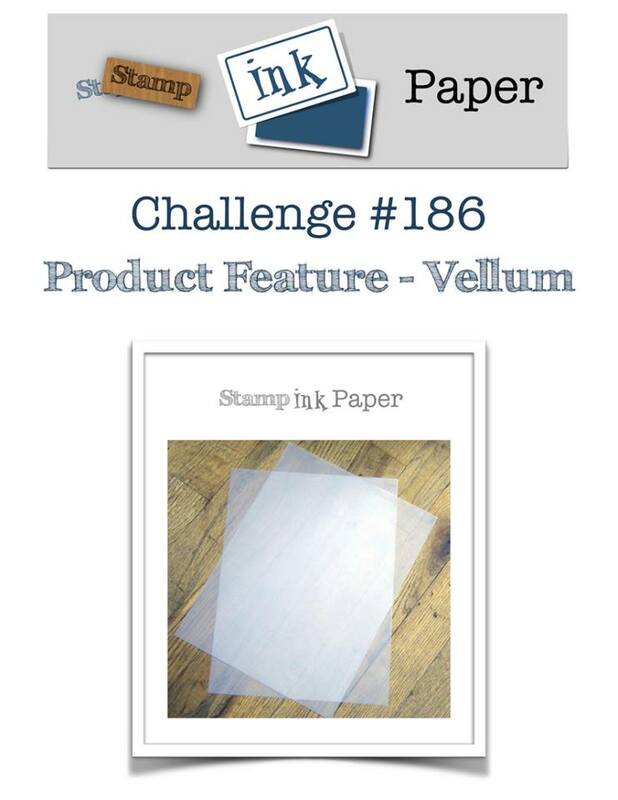 Stamp, Ink, Paper has a product feature challenge this week. Use Vellum in your card and link it up! That's a fun challenge I think. There are so many ways to incorporate Vellum in your project. I am back with the Butterfly Gala Bundle again... I can't help it. I love those butterflies! 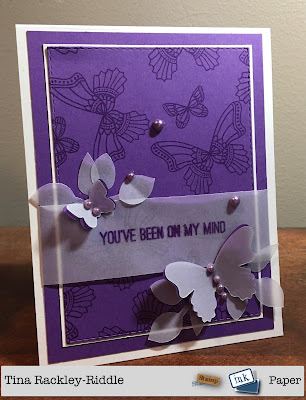 I'm a fan of purple and I love the new Stampin' Up! Gorgeous Grape Cardstock and Ink so that also turned out to be a product feature for me! I also love to stamp Tone-On-Tone to make a pretty background. To emboss the sentiment on the vellum strip in Gorgeous Grape, I first inked up the stamp in Versamark Ink and then inked in the Grape. I quickly added Clear Embossing Powder. I let my Heat Tool get really hot before taking it to the vellum to emboss to prevent warping.